You can access a range of the MedEdWorld features and services as a browser, as a registered user or as an AMEE member. The different levels of access and services offered are outlined below. For those who want to see the range of services offered by MedEdWorld. You can browse the MedEdWorld website for FREE without the need to register as a user or join as a member. Browsers have access to view basic MedEdWorld features including News, Conferences, Courses, Educational Equipment, Forums and Job opportunities. For those who want to engage with MedEdWorld more actively. As a registered user you will be able to participate in Forums, SIGs and Polls and access services not available to browsers including the Glossary and MedEdWorld Publish. Registered users can also join the MedEdWorld Community and create their own My Profile. For access to additional content and services register as a user for FREE. For Institutions that want to benefit from the full range of MedEdWorld services and AMEE institutional membership benefits and promote their activities to the wider medical education community. AMEE Institutional members receive full access to MedEdWorld and can submit content relating to their activities. Institutional members receive one FREE group access to MedEdWorld webinars and archived MedEdWorld webinars. Institutional members also receive a number of other AMEE benefits including discounted AMEE publications and discounted conference registration fees for members of the institution (www.amee.org). Institutions can join AMEE as an Institutional member for an annual membership fee of £250. For institutions that wish to benefit from the full range of AMEE Institutional membership benefits and provide MedEdWorld individual access to members of their institution. Premium Institutional members receive all of the AMEE and MedEdWorld benefits of AMEE Institutional Membership. 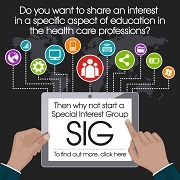 In addition Premium Institutional membership provides MedEdWorld individual access for all individual members of the institution through a Premium code unique to your institution. Institutions can join MedEdWorld and AMEE as an Premium Institutional member and provide full MedEdWorld access to all members of their institution for an annual membership fee of £550. 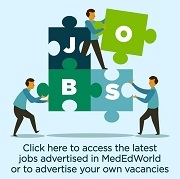 AMEE members should use their AMEE username and password to login to MedEdWorld. Full access to MedEdWorld is a benefit of AMEE membership. AMEE members also receive the AMEE journal Medical Teacher and can take advantage of discounted; conference registration fees, AMEE publications, and ESME online courses. AMEE Individual Membership can be purchased for £99. 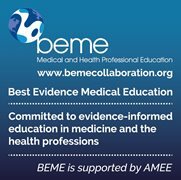 To compare the benefits of browsing, registering as a user, or joining as an AMEE Individual or Institutional member view the comparison table below.